Beantown Camp News, Instructors Added! We are thrilled to announce the addition of Gaby Cook, Mike Faltesek & Casey Schneider, plus Alain Wong & Gen St-Lo! The teaching staff is now complete! Can you imagine a whole week of classes with this incredible group of 31 awesome teachers? We’ve got that! That’s truly a lot of awesome! And it is only the classes. Beantown is so much more! A full vacation of dancing, people, activities, all wrapped up in tons of FUN! The Early Bird Rates expire on April 30! Register now to get the cheaper prices. If you would like a work crew position in exchange for a registration discount, please contact us. There are still some available. Camp runs from June 27 to July 4 with multiple registration options. If you have always wanted to come to Beantown, do it in 2013. There is just too much that you won’t want to miss! If you are planning to attend, please respond on the Beantown Facebook event page if you have not already done so. Thanks! Read more about Beantown Camp News, Instructors Added! Thank you to everyone who has already registered for Beantown! We are looking forward to welcoming you to camp this year. There are currently only a handful of 4th tier spaces left. Register now if you would like to grab one! Join us for an amazing dance vacation! Beantown runs from June 27 to July 4th with multiple registration options to choose from. Register now to join dancers from around the country and beyond. There are many truly awesome things about Beantown Camp #17. Just one of them is the live music. We are excited about this line-up! Baby Soda Jazz Band. This wonderful NYC band will be making their first Beantown appearance, kicking things off on Friday night. Gordon Webster & Friends featuring Naomi Uyama on vocals. Gordon and his band have been regulars at Beantown and every year we think we couldn’t love them any better, but we do. This year the full band will be coming for the first time and there just isn’t a better way to celebrate and finish up an amazing week of camp. To sum it up, dancing bliss from start to finish! It is never too early to make summer plans to attend Beantown Camp. Get your 4th Tier discount prices while they are still available! There is much in the works with information which we hope to send out soon. Beantown is going to be amazing! So much incredible stuff all wrapped in one week of pure joy. Check out the latest details on the Beantown website. We are happy to report that camp registrations have been coming in from near and far! It is still possible to get in with the new discount prices as registration has just moved into the 4th Tier. Some major plans are in the works with information which we hope to send out soon! Get excited! Beantown is going to be amazing from start to finish! Beantown registration is open! It is still possible to take advantage of some new discounts. The first and second tiers have sold out, however excellent prices are currently available. Why not get the best bang for your buck? Register now! For those who would like to take maximum advantage of the monthly installment plan, register by February 14 to get on the 5 month plan. (Starting February 15 it converts to a 4 month plan.) Camp registration and the Endicott reservation may both be purchased with the installment plan. Join us for an amazing dance vacation! Beantown runs from June 27 to July 4th with multiple registration options to choose from. Come together with dancers from around the country and beyond for a week of inspiration, challenge, passion and pure joy! Registration opens Tuesday, February 5 at 8:00pm EST. Be one of the first campers to register to get the biggest discounts. No prices have been increased! New discounts have been added! Payments can be made with 5 monthly installments for those registering in early February. Beantown is going to be AWESOME! If you have ever thought about doing the full week, do it in 2013. Camp runs from June 27 to July 4. It will be an incredible experience from start to finish! Check out the website for the latest information. Camp runs from June 27 to July 4 with multiple registration options. This will be a phenomenal year to come to Beantown! If you’ve never done the full week, do it in 2013. There is just too much that you won’t want to miss! The website continues to be updated with the latest info. Registration goes live on February 5 at 8:00pm. Plans for Beantown Camp 2013 are well under way! This will be #17 and everything is coming together for something pretty special! This year camp runs from June 27 to July 4th and we will be back on the beautiful Endicott campus on the shore just north of Boston. Although the general format will be similar to last year, there are some schedule and activity changes and additions to ensure maximum fun and awesomeness! The new registration format seemed to work well last year with the ability to register for Beantown separate from the housing and meal options. New for this year will be the procedure for organizing the Lindy Hop tracks, with the majority of placements determined through an audition process. It is an ever-changing process with the intention to create the most ideal groups based on who attends each year. Although much of the website is updated for 2013, the registration section is being reworked, staff additions are in the process of being confirmed, and the schedule will certainly have some tweaking as well as class details to be added. Registration will be opening February 5th. Stay tuned for information on early bird pricing options. 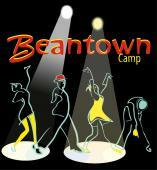 Make your plans for starting out the summer at Beantown Camp! You will be glad you did. Beantown Camp DVDs, including the 3 DVD set for 2012 covering class recaps, competitions, evening and class performances and Beantown Bounce (the awesome show)! For those who want to start thinking about NEXT summer, the dates for Beantown are set from June 27-July 4. There will be similar registration options as in the past. Believe it or not, plans are already in the works. This will be our 17th year! Think about doing the full week to get the whole experience as each day brings something special! Details will not be available for awhile, but we do guarantee it will be a spectacular opportunity for a very fun and inspiring week.